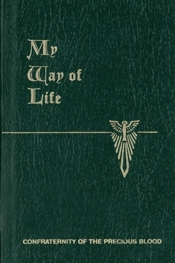 My Way of Life by Walter Farrell, O.P.,S.T.M. And Martin J. Healy, S.T.D. Walter Farrell, O.P.,S.T.M. And Martin J. Healy, S.T.D. The Summa simplified for everyone. Saint Thomas Aquinas’s Summa Theologica is one of the most influential and significant works in the history of the world, but because of its’ breadth and scope it is generally considered to be almost inaccessible to most readers. Until now. In My Way of Life Fathers Walter Farrell and Martin J. Healy champion a brilliant summation of the Thomistic doctrines that offers the reader an encounter with wisdom and the use of that wisdom in understanding and knowing our Lord and Redeemer Jesus Christ. With My Way of Life the timelessness of the Summa is now accessible to all. In a world that seems to simultaneously advance in some areas and regress in others, the Summa Theologica powerfully reminds the reader that by definition, the true, and the good, and the beautiful never change. Father Walter Farrell, O.P., was one of the most noted Thomist of his day and founded The Thomist in 1939. Father Farrell passed away soon after the completion of Part I. Father Martin Healy wrote Parts II and III while he was Professor of Dogmatic Theology at the Seminary of the Immaculate Conception in New York.